This Latin 3 course includes an in-depth study of Latin grammar concepts. Students will complete Latin Alive! Book 3, studying at a deliberate pace that aims at mastery and delight. Building on Latin 1 & 2, students in Latin 3 continue to translate more advanced original Latin literature, much of which is taken from the medieval period. Students continue learning the history and culture of Roman and medieval society. Students expand their Latin vocabulary even more and gain an increasing facility in the reading of original Latin. 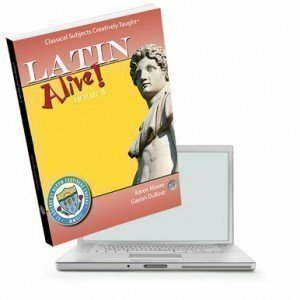 This course is designed for students who have successfully completed our Latin 2 course, the Latin Alive! Book 2 text, or an equivalent course of study. High School Credit: This course is the equivalent of one high school credit in foreign language.